“Let he who has ears to hear, use them.” Eight times in the Gospels and eight times in the Book of Revelation we are reminded that it’s not enough just to have ears—it’s necessary to use them. Jesus spent regular time with God, praying and listening. Luke 5:16 tells us, “Jesus often withdrew to lonely places and prayed.” If Jesus, the Son of God and the sinless Savior of humankind, thought it worthwhile to clear his calendar to pray, wouldn’t we be wise to do the same? Jesus also spent regular time in God’s Word. Three times in the wilderness temptation, he used the Word of God to repel the attack of Satan. 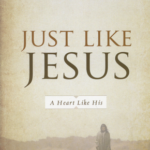 If we are to be just like Jesus, then we need to imitate his habits of prayer and Bible reading.